Human Unity is the idea that together we are stronger than we are when segregated. Just like an ecosystem is stronger the more diverse it is, so are we as a community stronger because of our differences. As individuals we can share our skills, talents, compassion, empathy, listening, stories, ideas, and love. Too many times in developed and Western countries people are segregated. We are segregated by age and ability in the school system. We are segregated by age in nursing and old age homes. We are segregated by socio-economical class in our jobs and neighborhoods. If we are to learn from each other, support each other, and understand each other, we need to be together. Being a Project Director is hard work. And living in India has exposed my body to bacteria it is not used to. Even with my 70%-effective typhoid vaccine, I got typhoid fever. It lasted for 4 weeks, each week being a different stage, bringing on intermittent fevers, tiredness, weakness, and a host of other symptoms. I couldn’t be the effective Project Director I wanted to be. Unfortunately, living where you work and eat and sleep makes it difficult to rest. 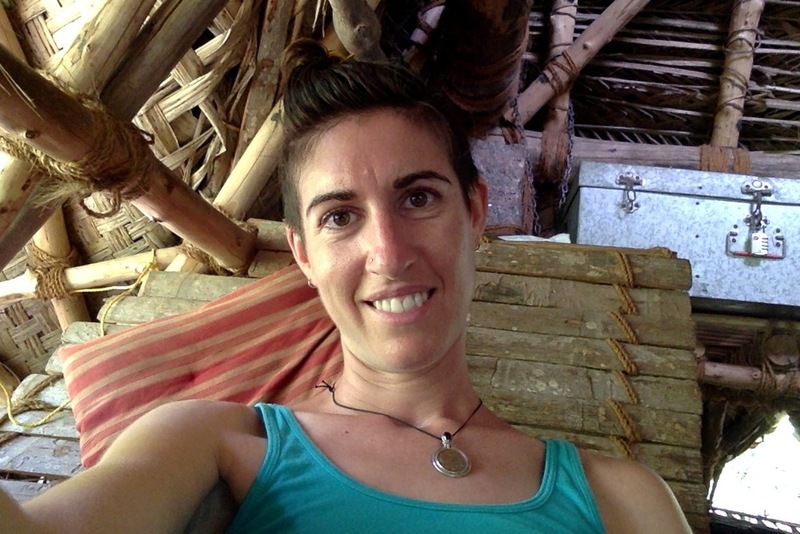 So I took a vacation to the Quiet Healing Center and Guest House on the beach in Auroville. Upon entering the winding roads decorated with stone patterns, hearing the waves wash upon the shore, and seeing the quiet little rooms with individual patios overlooking the ocean, I was smitten. For $57 per night I was able to have a beach-facing room, 2 beds (one for my friend Celeste), 3 vegan (and I think organic) meals per day, laundry, and a hot shower. For an additional $17 I could get an hour and a half massage. I got a massage every day I was there. So Celeste and I would wake up and walk along the beach, which was super peaceful until we realized that it’s where the locals come to poo in the morning. So we stopped doing that. Then we’d eat a delicious breakfast buffet and go back to our room to sit on the patio or in our window seat to draw, paint, color, and listen to music with the sounds of waves crashing in the background. After lunch we’d lay in hammocks on the sand, and before dinner we’d have tea in the gardens. 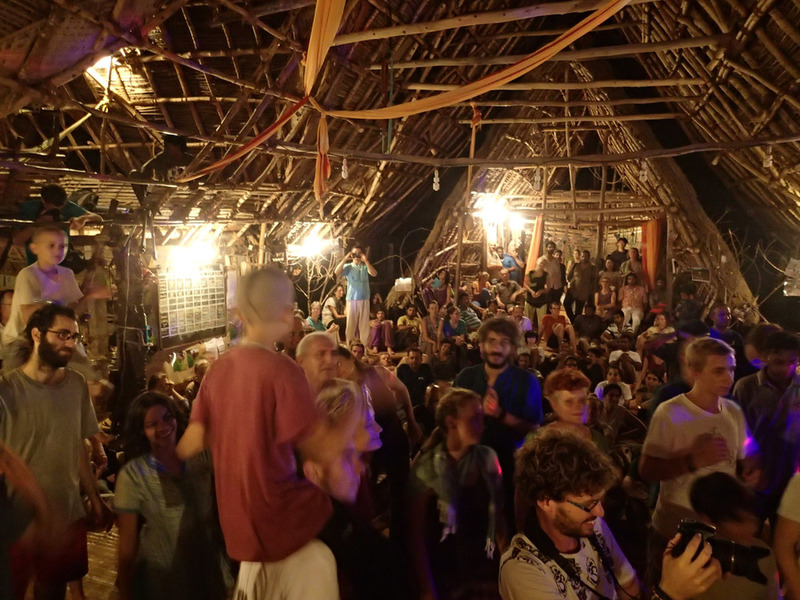 For 3 days and 2 nights we lived in bliss- just enough to heal my body and soul and get me ready to give 150% again. Formidable Vegetable Sound System in da house! 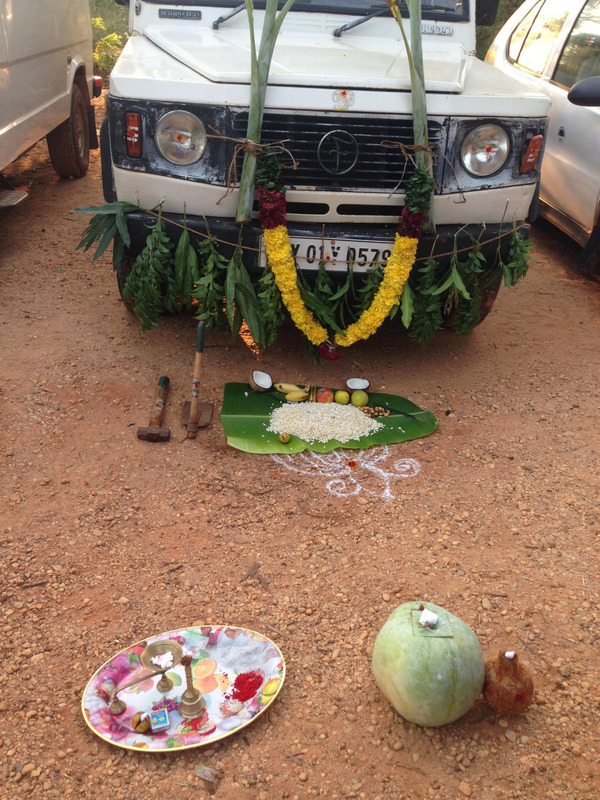 A Puja for the Vehicles! 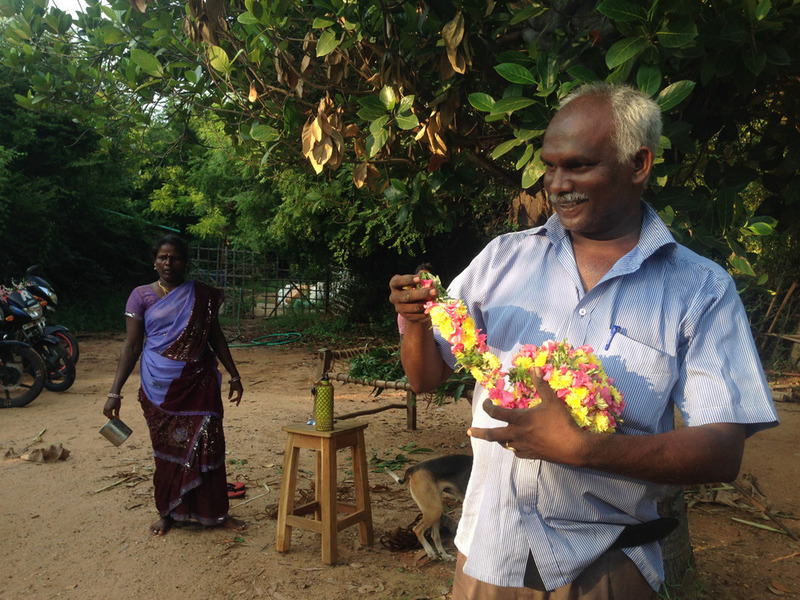 One day, our friend and local taxi driver Arumugam, came and said it was time for a puja for the vehicles. 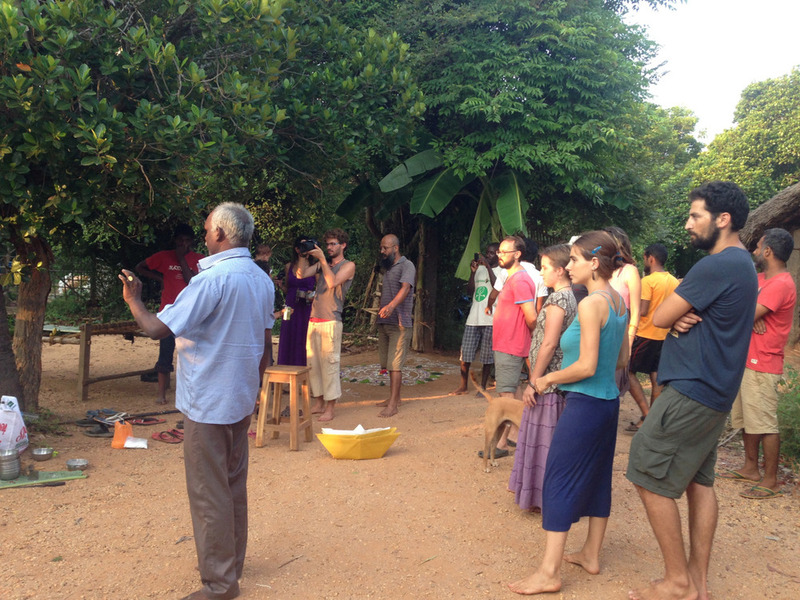 A puja (poo-jah) is a Hindu ritual celebration to the gods with food offerings and blessings. We decorated the vehicles of Sadhana Forest, left offerings of puffed rice, spices, fruits and tools at each vehicle, and then burned some camphor that was stuck in fruit and walked around each vehicle to bless it. Then we celebrated by eating the offerings. A good time was had by all. When was the last time you couldn’t get out of a parking spot because a cow was in your way? You’ve heard me speak about peacocks on my roof, but have you seen them?!?!?!? Us: We’ll have three thalis, please. Us: It’s lunch time. Do you have thalis for lunch? Waiter: No thali. Dosa, idly. 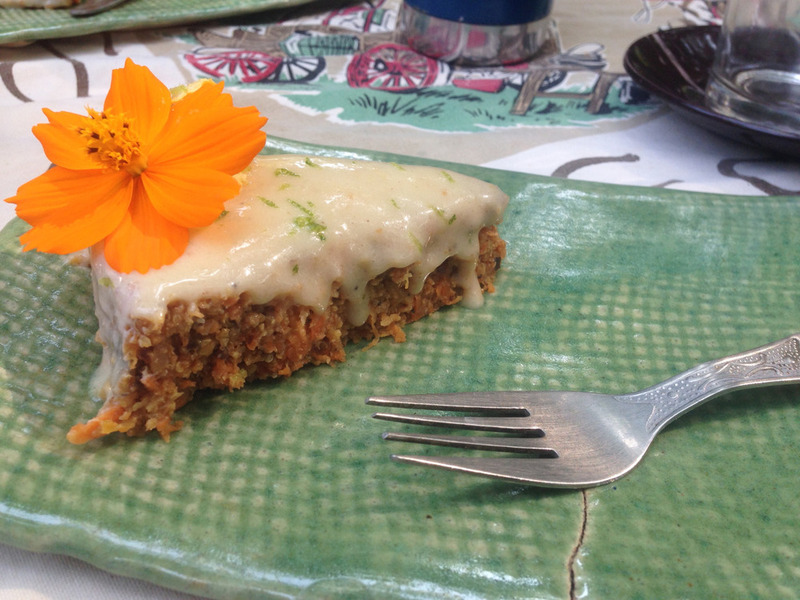 (Other Indian foods that are delicious but not what we were looking for). Us: No dosa. No idly. Lunch time! Thali time. Us: Do you have rice? Us: Do you have dal? Us. Do you have subjee? Us: Do you have sambar? 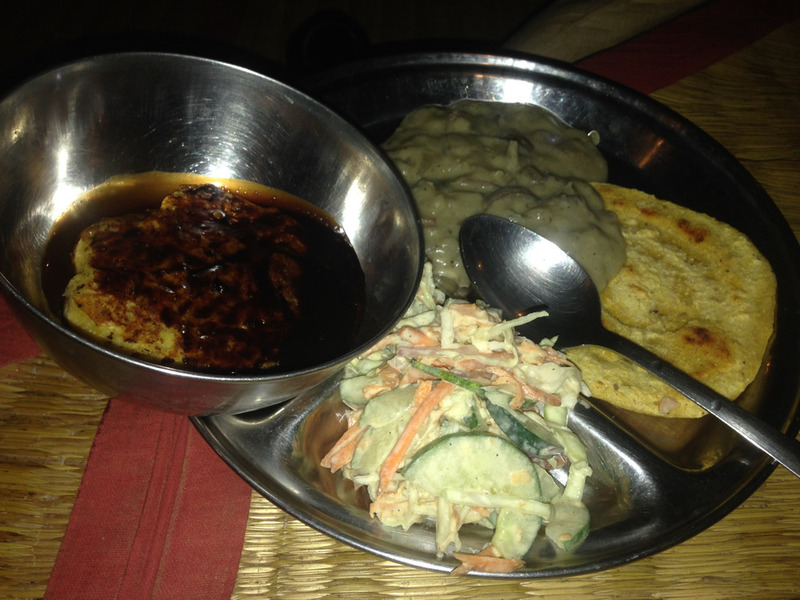 Us: Then you have thali! Waiter: You want thali, you sit here. At this time the waiter points to the table next to us. We look at each other, get up, move to the next table, and a full thali comes. It’s huge, unlimited, and delicious and the waiters are hovering over us serving us more and more food, and confused that we are eating like Indians and know the names of the dishes they are serving us. They keep asking where we’re from but we don’t want to get started in a conversation as we have a bus to catch and our bellies to fill. As we finish eating we take time to laugh about the ridiculocity (we’ve been making up words… this is a good one, right?) of a restaurant serving some dishes on one side of the room and other dishes on the other side. And then two of us start uncontrollably crying as though we’ve been hit with tear gas. We can’t figure out what is going on and we have to use the toilet and we don’t want to pay for the toilet at the bus station so we go to the toilet in the restaurant. It’s upstairs, and as we wait to use the facilities, we notice two women sitting on the floor with a pile of onions almost as tall as them, peeling them, while onion fumes gently ooze down the vents that were directly over our table. We burst out laughing, pee, and then hop on the bus home.